The crafty Zaheer Khan mentored Bhuvneshwar Kumar in the art of fast bowling. They got hitched on the same day. 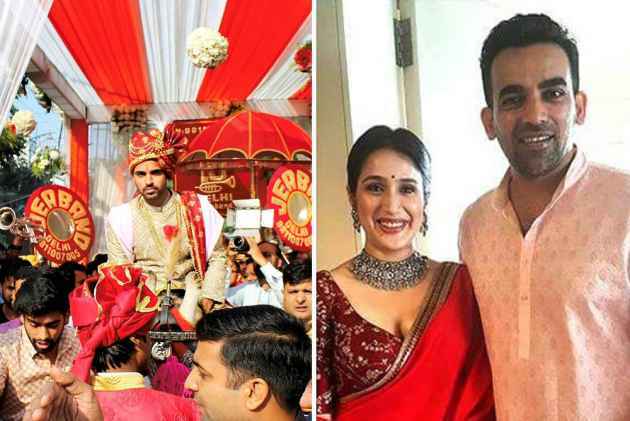 Zaheer’s court marriage with Sagarika Ghatge in Mumbai was a first step in a three-tier celebration. Bhuvi, fresh from a great performance, and seen here at his baraat in Meerut, was married to Nupur Nagar. May the speedmen be happy! As many worthy men have noted, with their steely stares softening, dadship is the best feeling of them all. Flanked by snugly fitting daughter Iqra and the rakishly jacketed Shahraan, San­jay Dutt is clearly in a zone he’ll never ever reli­nquish. 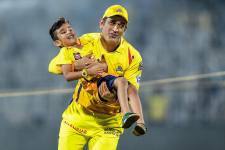 As parent, too, Sanjay is a hulking bear of a dad, pretty much a softie. Yeah, he spoils them, but doesn’t get into the way when Manyaata shows the occ­asional iron fist. That’s good parenting. North India might be kicking up a lot of fuss over the depiction of a medieval queen in what is ess­­­­entially a Bolly­woodian excuse for an extravaganza, but the leading lady at the centre of it, the inimitable Dee­pika Padukone, is going about her pro­selytising work dil­igently. At a dance contest, the diva, in a golden sari, shook legs with Shi­­lpa She­tty, all the while plugging Padmavati. Nice work. 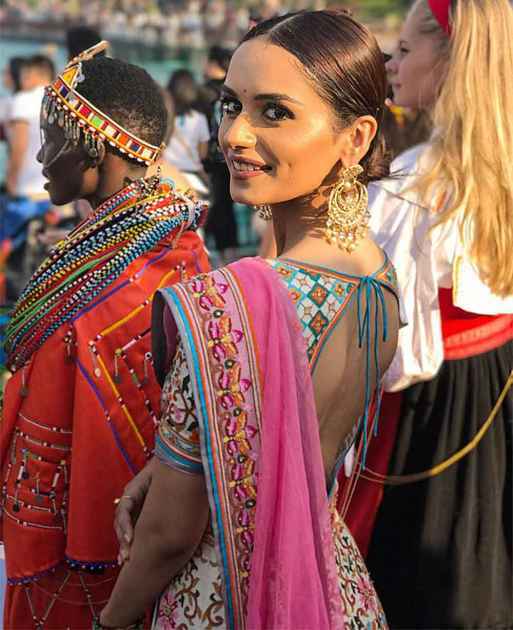 Tasteless puns on that platform of impulse, Twitter, made by a politician who’s fast becoming an expert, notwithstanding, this is the bri­­g­h­­test face that swept all at Miss World. Newly crowned Manushi Chhillar refused to take the spoiler, too. Her nonchalant advice: just chill. For 15 years, the undimmable Gisele Bundchen had clattered on the world’s ramps to be the world’s highest earning supermodel. Her castle has finally fallen—22-year-old Kendall Jenner instagrammed, reality acted and catwalked her way to the top spot. Her feathers have a new cap. Arrested in 1969 for his part in the Tate-LaBianca murders, serial killer Charles Manson died aged 83 in confinement. The man whose name had almost become synonymous with mass murders and who was handed nine consecutive death sentences had been plagued by intestinal bleeding since January.